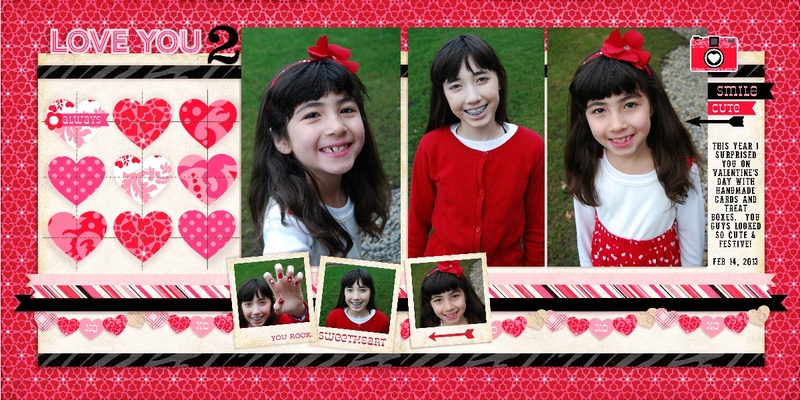 Today I'm sharing a double page Valentine's Day layout I created for my 8x8 Shutterfly album several months ago. I made this digital layout using Echo Park's Love Story collection designed by Lori Whitlock and a sketch by Allison Davis. I tried to pick a sketch that not only worked with my photos, but also with the embellishments in the collection without a lot of special masking templates and shapes I didn't yet own. 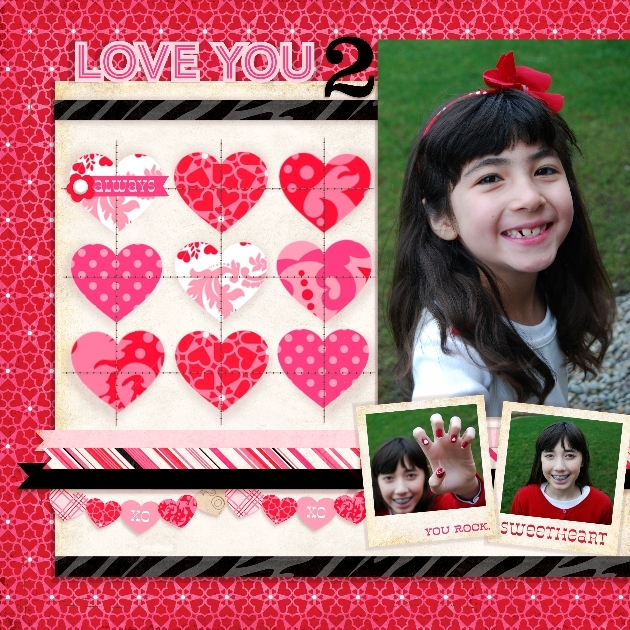 This layout was my first attempt at Digital scrapbooking and working on it was exhilarating. I had a light bulb moment realizing with my simple (non-Photoshop) software I could fill any digital embellishment with the patterned paper of my choice. so adorable!! 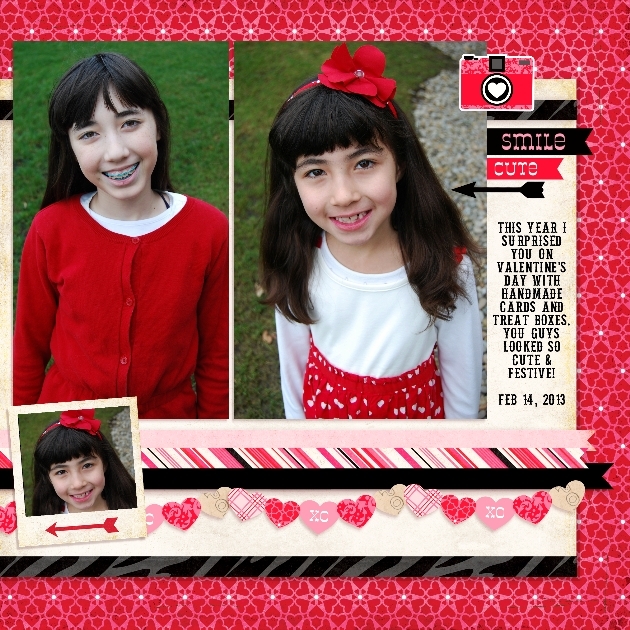 I love your layouts :-) question for you - I have not ventured into digital scrapbooking because 1. I thought it would be more expensive printing out layouts 2. software - I dont have fancy photoshop software. How have you dealt with these issues? Beautiful 2 page layout, "Queen of Cuteness." You have a keen eye for combining colors and patterns that work well together.